It’s amazing how so many months of preparation can disappear in what feels like the blink of an eye. 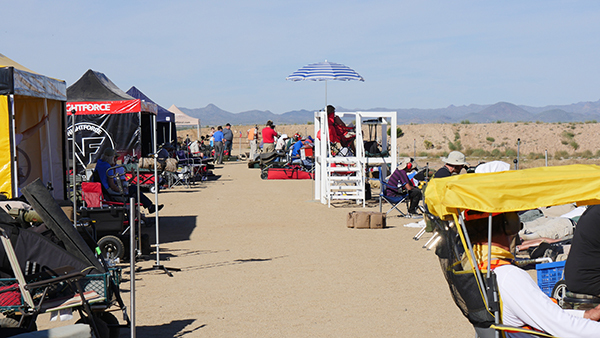 But that’s exactly what happened at the 2014 F-Class Nationals in Phoenix, AZ, when months of load testing, training and wind reading skills were put to the test during an unseasonably warm week in October. We were excited to see 175 shooters come from around the US and Canada, and even one all the way from Australia! Shooters and hospitality tents along the 1000 yd line. The week started with a Long Range Regional on the 25th-27th. The Regional served as a warm-up match for the Nationals, with two days of individual shooting and a day of team matches at 1000 yds. Allan Rosenthall won the F-Open, Derek Rodgers won the F-TR and Mike Kelley won the Sling divisions. The team winners were 3rd Generation Shooters (F-Open) and Team Sinclair (F-TR). After the Regional, we had a practice day before jumping right into the Nationals. The US F-Class Nationals has undergone several changes in the course of fire over the years. This year, the NRA adopted a policy of only recognizing 20 shots matches, so we changed our program accordingly. We started shooting on Wednesday, with three matches at 1000 yds. It was much warmer than it should have been, but the conditions were fairly calm. Our National Teams’ Vice Captains won the first day. Mark Walker won the F-Open with a 599-29x (out of a possible 600), and Jim Crofts was high F-TR with a 593-27x. Derek Rodgers set a new National T-TR Record in one of the matches with an impressive 200-12x. Thursday’s conditions were much the same – warm and sunny but steady winds. David Gosnell was high F-Open with a score of 596-31x, and Derek Rodgers won the F-TR division with a 589-26x. Happy Hallo-Team Day! Being serious doesn’t mean you can’t have fun too! Friday was team day, and the most important day of the week for a majority of the shooters. It also happened to be Halloween, so a few people showed up in costume to celebrate the occasion. 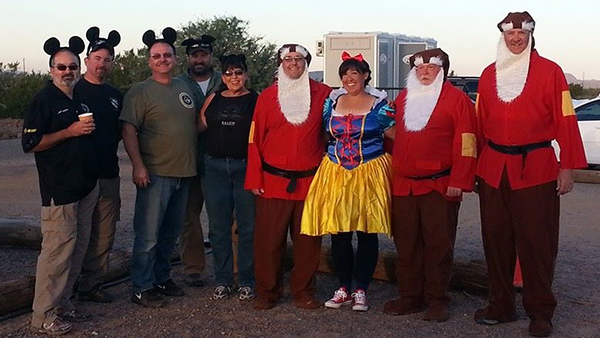 My team (the Long Shots) decided to have some fun with it, so we dressed up as Snow White and the four dwarves. We actually shot in costume (coaching in a dress was a new challenge for me! ), and it paid off. We shot an 800-42x in the first match! No team has ever shot a perfect score in F-Class before. I never even thought it was a possibility until about halfway through our third shooter. The last 25 shots were nerve-racking. I’ve done a lot of things in my years of competitive shooting, but this one will always be very special to me. Team matches always mean more. On the other side of the line, Team Sinclair won the first F-TR match with a 792-38x, also setting a new national record in the process. The winds picked up for the second match and grew into some of the toughest I’ve seen at that range in a long time. Team Berger won the second F-Open match with a 782-34x, while the X-Men won F-TR with a 765-20x. The National Team Champions were Team Grizzy and Team Sinclair, with a 1572-69x and 1555-51x, respectively. Congratulations to both teams! That was some impressive shooting in very tough conditions. We had 27 teams competing – 16 F-Open and 11 F-TR. It was great to see so many! We’re so grateful to all of our sponsors. Saturday was the final day of the individuals. The wind wasn’t nearly as bad as the previous afternoon, but it was still tricky enough to keep things interesting. The competition was tight right up until the end; but when the dust settled, we had two new National Champions – Emil Kovan and Jim Crofts! Kovan became the 2014 F-Open National Champion with a 1587-83x, and Crofts the 2014 National F-TR Champion with a 1574-59x. 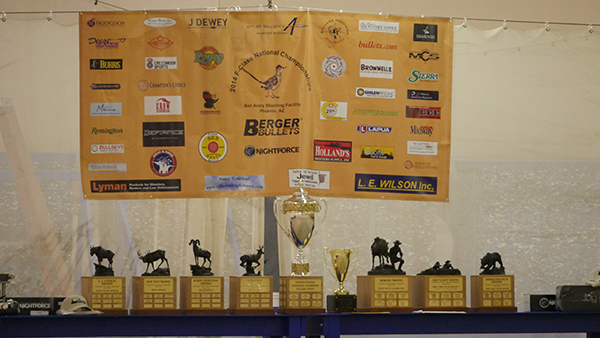 The Nationals ended with the dinner and awards on Saturday night. Competitors and sponsors were able to relax and laugh over a bbq dinner before we presented awards. We are so grateful to all of the companies who supported the match by sending donations. 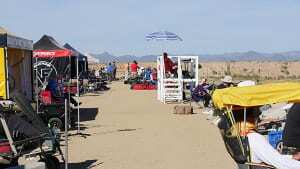 Also, I’d like to take a second to thank all of our Desert Sharpshooters club members who worked so hard to make this match successful, as well as the shooters who chipped in to help out when they saw something that needed to be done. We appreciate all of you! And we’re looking forward to seeing you for the Nationals again next year! 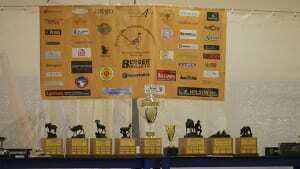 For complete results, visit the Desert Sharpshooters Rifle Club website. To see more pictures, visit the Berger Bullets Flickr page. 2014 National F-Class Champions! Emil Kovan (left – F-Open) and Jim Crofts (right – F-TR).